VAT not paid - only 62 hours! A better than new boat - she's ready to go, highly specced and full commissioned with only 62 hours on the engines. The desirable "Offshore" Version with twin 200HP Yamahas and extended fuel tanks. Genuine reason for sale as the owner is relocating to sunnier climates. 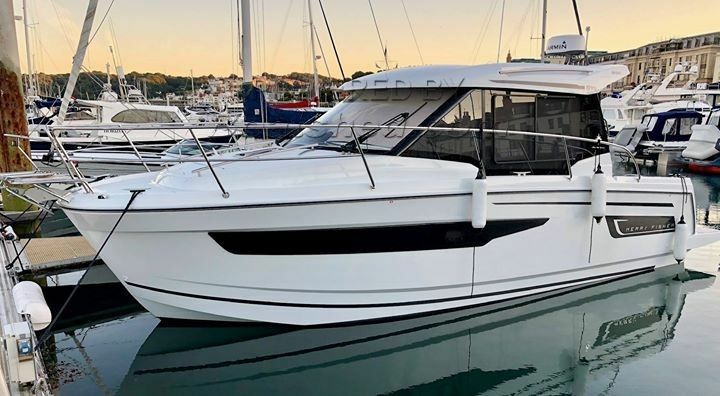 This Jeanneau Merry Fisher 895 Offshore has been personally photographed and viewed by Tom Whitby of Boatshed Guernsey. Click here for contact details.